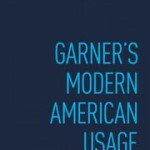 Do you know Bryan Garner, author of Garner’s Modern American Usage? You don’t? Get thee to his blog immediately. Subscribers get an entry or two a day from his usage manual, a resource every writer should have and rely on, and a quote about language, speech, or usage. 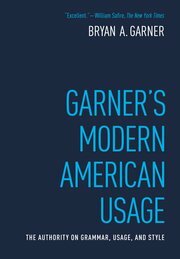 Garner also teaches lawyers how to write better. His books and seminars are popular, but what I count on are his “Law Prose Lessons,” aimed at increasing clarity in legal writing. This one I’m quoting in full, because the distinction he notes is often mistaken in novels and news accounts as well. A tort, readers of Books, Crooks & Counselors will recall, is a civil claim asserted by one individual against another, as opposed to a crime, a violation of criminal law, the rules of society as agreed upon by the state or federal legislature and enforced by the prosecutor (sometimes, but not always, called the district attorney), on behalf of society as a whole. So if you go walking or hunting on private property, you won’t be prosecuted by local authorities, although the property owner could sue you. But if you break into a house, expect to be charged with the crime of trespass, and maybe more. This entry was posted in Books Crooks and Counselors, writing about legal issues and tagged terminology, trespass by Leslie Budewitz. Bookmark the permalink. I can see how Bryan Garner’s blog would be very useful, but it is far from immediately apparent just how one CAN subscribe to it. Well, by golly, I can’t find it either. I do subscribe, and suspect that there is subscriber info on the bottom of each email, but I’ve already deleted today’s. When tomorrow’s arrives, I’ll look for the info and provide it here. Rhonda, most states — if not all — have similar statutes. Violations can only be prosecuted by the state. No individual can “prosecute” someone for a violation of a criminal statute, and as the post points out, the state is unlikely to do so unless there is property damage or some other crime involved. An individual property owner can sue someone for civil trespass, in civil court, and seek money damages — but that’s uncommon. So while the sign may be fair warning, there’s little likelihood of any criminal consequences. Love having you here, Rhonda! In some states, “criminal trespass” is what is called “breaking and entering” in other jurisdictions. It may not be the same as civil trespass. Because of the quirks of how the law is written, some places require that land be “posted” to inform people that trespassing is forbidden. This has resulted in pieces of land with signs that say, “Posted” and nothing else. These are usually nailed to trees at intervals aong the public road. Thanks, Tina, for the comment and the resource. Many laws are self-enforcing — people follow them b/c that’s the law, whether they expect active enforcement or not. “Posted” or “no trespassing” signs remind them where a property line is, and they respect it. But as you point out, a determined treasure hunter — great example — or in my neck of the woods, a poacher, is hard to deter.